Whenever I think of the Olympics, I always automatically picture my obsession with the gymnastics portion of the 1996 Olympics, particularly with Dominique Moceanu. I was at the perfect age for it - almost a teenager - and I was in gymnastics myself, although I was never any good. Moceanu was only a year or two older than me and it captured my imagination to think of someone around my age being an Olympian. I hadn't thought about her in years, but saw this book publicized during this years' Summer Olympics and knew I had to read it. 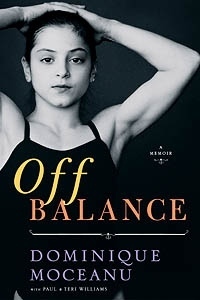 It's a memoir of her life and training as a professional gymnast that focuses on her difficult relationship with her parents and the abuse she suffered at the hands of her coaches. Well obviously one can't be just the best at everything, right? 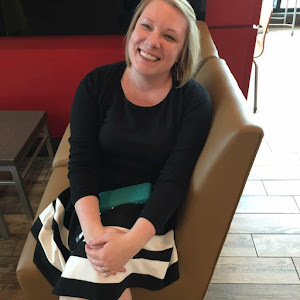 She's a gymnast so I have to cut her a little bit of slack in the writing department. That said, it appears she wrote it with the help of professionals and...honestly...I think it could be better. It's not that it's bad, it's just not great either. Kind of stilted and, even though the story is fascinating, it is way too drawn out. I was hoping to be just absorbed by this one, especially because it seemed like it would something of an expose of the gymnastics world. The first 3/4 of the book, however, were super slow. Moceanu definitely had a difficult life, but, partially due to the writing, I didn't connect with her story. I also thought it took way too long to tell and could have been dramatically shortened without missing vital details. Which is a shame because the book isn't all that long to begin with. As far as the expose of the state of professional gymnastics in the US goes, I was fascinated. The last quarter of the book really deals with the problems that professional gymnasts face, and was what finally caught my attention. I wish the entire book had captivated me the way the last portion did. If you have a special interest in Moceanu or professional gymnastics, I think you'll enjoy it. If you're not already interested, I don't think you'll be enthralled by it. I sent it on to my friend Leah who was also interested in Moceanu's history, but I couldn't send it with rave reviews. I'll be interested to see what she thinks once she reads it. I have been curious about this one, because I too was hooked on gymnastics during the '96 Olympics! It's unfortunate that the writing wasn't great, but that last section still piques my interest enough that I'm sure I'll read it at some point.